I just spent 6 months trying to get a better understanding of how video impacts conversion rates. During the development days of Vidyard (when we were under PG’s reign at Y Combinator) all we had was a landing page created using Unbounce. The landing page’s sole purpose was to collect e-mails from people that were interested in what we were building. They would be the first testers, first customers and eventually the first passionate advocates of our platform – it was important to get this right. 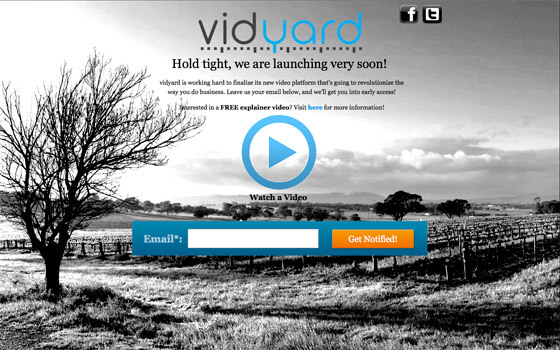 The VidYard “Coming Soon” landing page. In the above image, you’ll see three lines. Challenger “D” and “H” were leveraging video in a light-box and an embedded iframe respectively. Challenger “J” was a version of our page that did not include a video. The results are in – is video better at converting visitors? Absolutely. That’s not where this post ends though – there are a variety of things to consider when leveraging video. Like written text, the content needs to be engaging and explicit. Don’t over-phrase or complicate things. If the budget is there, it’s important to invest appropriately. There are a large number of providers in this space (we work very closely with BizMedia and Switch Video). The most important thing to consider is how well you work with the team and the style of content you’d like to produce. Styles of video include talking heads, fully animated explainers, live-action, animated infographics, kinetic typography or traditional screen-casts. We decided to leverage an animated explainer on our landing page and the results were incredibly good. Without analytics, this part of the process is technically a gamble. The variables in effective content creation (Y) are A = Audience, V = Vertical and S = Style. Y equals some crazy combination of A, V and S and the balance needs to be perfect to get this right. Make sure you work with a company that is leveraging video engagement analytics to understand how these variables have actually impacted viewership across different spaces. Get this right, and you’re off to the races. Video gives customers a deeper understanding of a product that can really work to reduce hesitancy on purchase or sign-up. It’s like a nice office with an attractive male or female desk attendant. The presentation and organization goes a long way to generating comfort in the purchase decision. Good quality content is a mixture of art and science. The art is all about good design, the science is all about quality analytics. Without any conceivable metrics, the value of your content is completely qualitative and in this rap game, subjective analysis is never enough. Are you trying to justify the ROI to your boss? You’ll need to have attention span metrics, unique views, location of viewership, real-time recurring data AND metrics around how video triggers call to action. 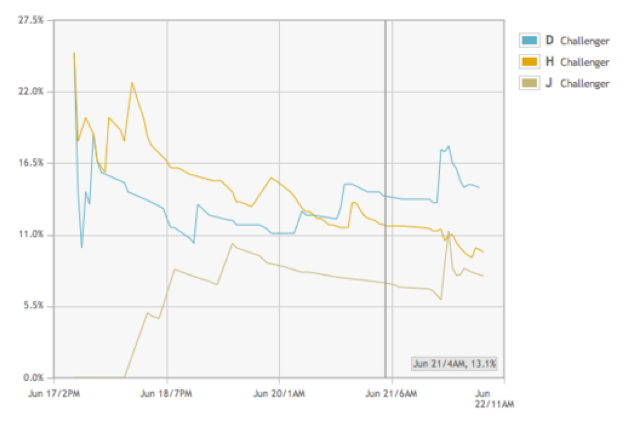 The dashboard below (from the VidYard.com interface) displays real-time analytics for the associated video above. It’s a fully interactive “live view” of the VidYard video dashboard – go ahead and play the video above to see the live results appear in the dashboard below! Video has changed. Gone are the days when the only digestible medium was a PC running IE6. Now there are multiple Operating Systems, Web-browsers, File-formats and delivery mechanisms to consider. The MOST important thing is that your video content can be delivered to everyone. Choose the option/platform that makes this simple. Configuring key-frames, resolutions, bit-rates, audio encoding parameters, etc. isn’t something you want to do. SEO is a big deal. There are 8 bajillion companies that can handle SEO for your site. Video SEO is an even bigger deal. When you search for something on Google, video search results show up with a thumbnail image. Video results are graced with the world’s most attractive call-to-action – the play button. Not only that but according to Forrester, video results are 50X more likely to appear on the front-page search results. The decision is pretty simple. Facebook, Twitter and YouTube are currently leading the charge when it comes to social discovery. In that regard, it’s extremely important that your video can be posted directly in your facebook feed, can be linked to via Twitter and is automatically syndicated to your YouTube channel. Sure, you can go after that yourself but it’s nice to choose a platform that “just works”. Sit back, upload, syndicate and watch the leads pour in. The results are in, you need to consider video for your landing page. There are a variety of tools that are going to help you achieve this. The paramount things to look for lie in simplicity, compatibility, availability of analytics and VSEO (Video Search Engine Optimization). There are tools to help and services to trust in making your landing page viral – that’s what it’s all about. Video is an excellent choice to help you get there.